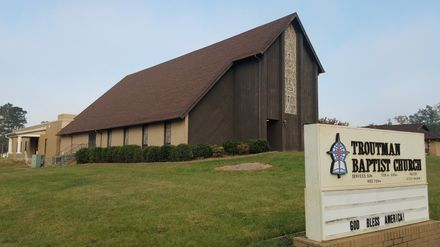 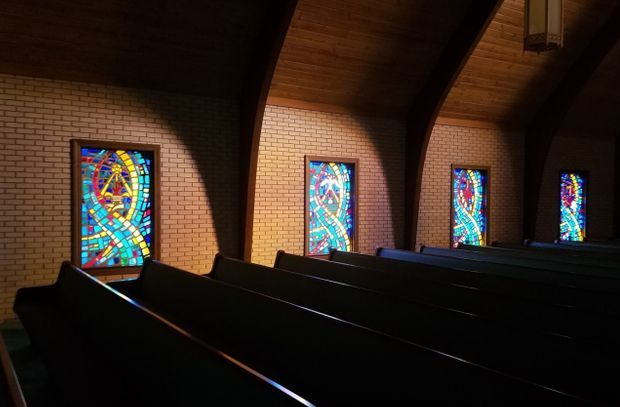 In 1974, Laws Stained Glass Studios provided (10) faceted glass windows for Troutman Baptist Church in Troutman, NC for their sanctuary. 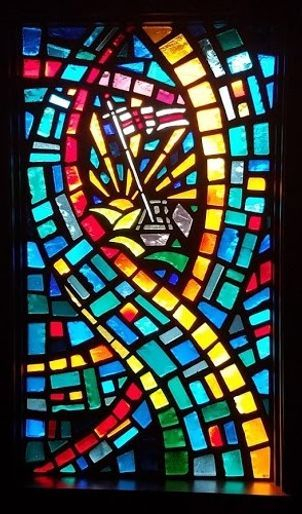 Behind the baptistry, a large, pointed window (size 96" wide x 312" high) was installed. 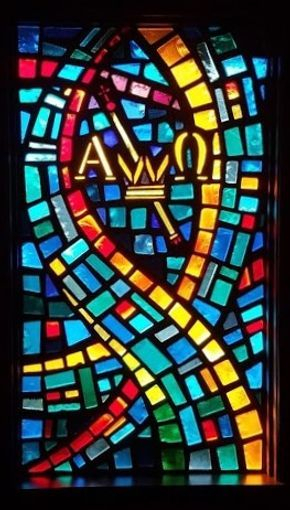 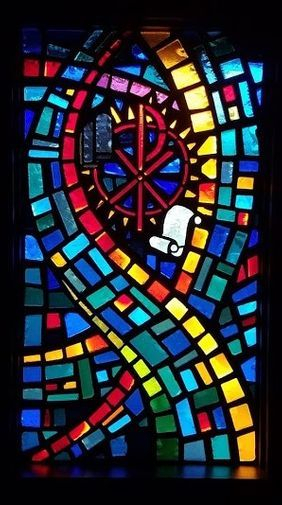 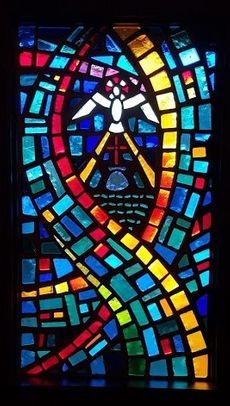 This window has an abstract design with a floating figure or "The Good Shepherd", a dove symbol, and the hand of God symbol - all representing the trinity - Jesus, the Holy Spirit, and God the Father. 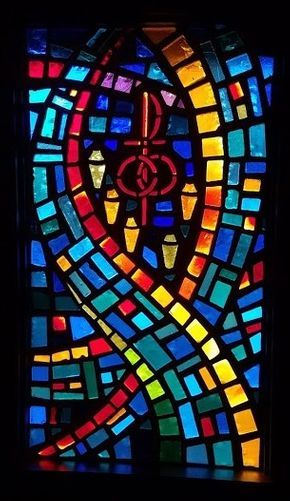 At the front entrance, another large, pointed window (size 72" wide x 300" high) has an abstract design with a floating figure of "Come Unto Me". 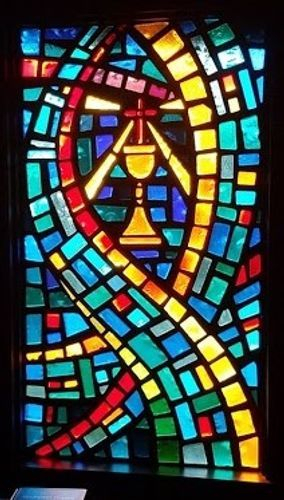 The eight side windows (size 36" wide x 63" high) each contained a symbol. 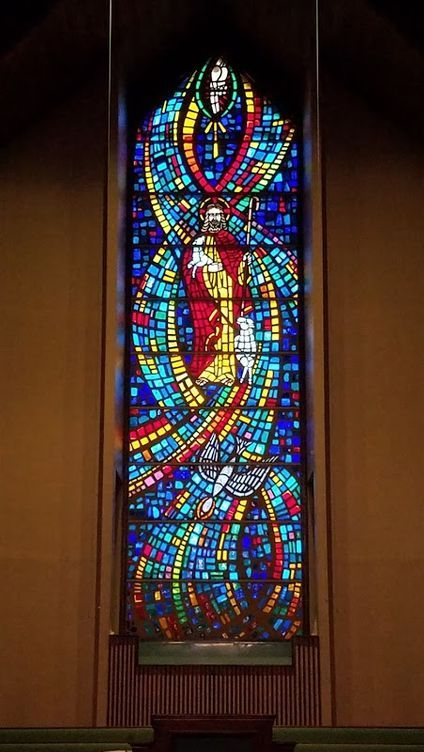 Large faceted glass window behind the pulpit in the baptistry area. 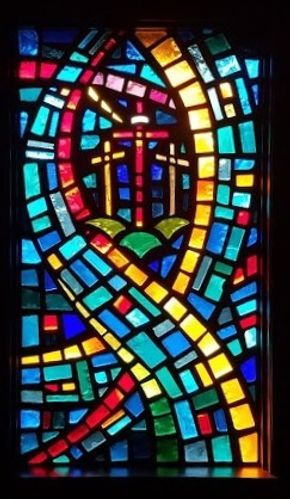 The symbols (the hand of God, the Good Shepherd, and the dove) represent the trinity composed of God the Father, Jesus the Son, and the Holy Spirit. 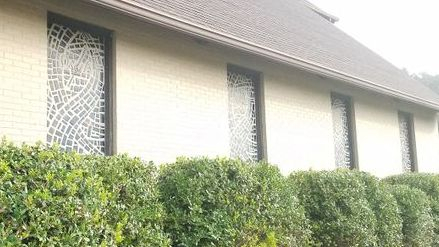 Faceted glass window at the front entrance with a floating figure of "Come Unto Me"